8 inches of snow and more on Wednesday! Sunday brought 8 inches of snow to the already snowy slopes of Cranmore Mountain. This new snow made for some fantastic skiing and riding on Sunday as well as Monday. Once the snow settled, ski patrollers went out and examined the gladed terrain around the mountain. Many ropes were dropped on trails such as Gibson Chutes and Jughandle. Now we have all but two of our trails open. But those two trails shouldn’t stay closed for too long as there is another storm heading our way for Wednesday and early indications are predicting that the Mount Washington Valley could easily receive 8-12 inches of new snow. If this prediction stays true there is no doubt that every single one of our trails will be open with fantastic coverage. February has been quite a snowy month. Our snow bases are deep which means the spring skiing will be fantastic. Hopefully these storms systems continue and that March comes in like a Lion! February Vacation is under way and the skiing and riding is superb. We have received over 20 inches of snow since Winter Storm Nemo visited us last weekend. All the new snow has added to our already deep base. We have wall to wall coverage on all of our open terrain. Skiers and riders have been enjoying the packed powder surface conditions that our groomers have been laying down. Cranmore’s terrain park staff has been really hard at work lately. The newly built jump in the Director’s Cut Park has been a hit and The Reel Park recently had new features added to it as well. You will be able to lap the park all day long from 8:30am-6pm everyday throughout February vacation week. Along with the lifts spinning later, the Tubing Park and the Mountain Adventure Park will be open from 9am-9pm. The Indoor Adventure Center located in the Artist Falls Lodge will be operating from noon-9pm. There will be two Cranapalooza’s this week. With a Sports Themed Cranapalooza on Wednesday the 20th with children musician Marcus Gale in the KandaBar and Audley Williams performing acoustic music in Zip’s Pub and Grill from 4-6pm. Then on Saturday the 23rd Rockstar Energy will be sponsoring a Hollywood themed Cranapalooza. Folks will be dancing to the rocking music of the Tugg Brothers in Zip’s Pub and Grill. There will be two magic shows, one from The Magic of the Steelgraves in the KandaBar and magic from Ryan Mahoney in the Artist Falls Lodge from 4:30pm-5:30pm. Fireworks will cap off the day at 6:30pm over the South Slope! On the 23rd as well Ramp Sports will be on hand for two events. There will be allowing people to demo their skis and snowboards for free from 8:30am to 3pm. Later in the day along with Arbor Snowboards, The Retro Fest Rail Jam will be going down in the Double Feature Progression Park. The registration fee for the event is $10 plus a lift ticket or season pass and registration will begin at 9am in the Red Sled Burger Area. The event starts at noon with the top skier and snowboarder will walk away with new skis or a snowboard. There is lot going on this week at Cranmore, and the fun has just begun. 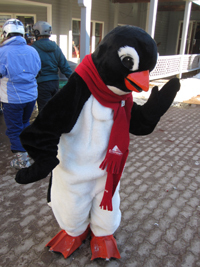 Enjoy your visit to Cranmore this week! Winter Storm Nemo found its way to Cranmore over the weekend, leaving 17 inches of fresh powder. Saturday was a classic powder day here and the snow was incredibly light and fluffy. People came out in droves early to make sweet effortless turns on runs like Koessler and Ledges. There wasn’t a soul on the mountain that didn’t have a grin that stretched from ear to ear on their face. All this snow has certainly added to the already deep base our Team Snowmageddon has built on the trails. This added assistance from Mother Nature will definitely ensure deep bases for spring skiing later this season. Now that the storm has come and pass, the trails have a perfect packed powder corduroy surface that will stay like this going into February vacation week and beyond. The skiing and riding is downright phenomenal. Make sure you make your way to Cranmore soon. You will not regret it! February vacation is nearing and conditions are in fine shape for everyone to enjoy their vacation here in North Conway and at Cranmore. Team Snowmageddon has been pumping out snow like crazy. Anytime the web blub temperature has been right where it needs to be, they have been out on the slopes gracing the mountain with manmade powder. Although we can make snow using all of our 365 high efficiency snow guns, it is always nice to have a little help from Mother Nature. There is a storm brewing for Friday and it looks like that is could leave us with a measurable amount of snow. This is simply music to our ears. There is nothing better than a powder day! So to ensure that this snow heads its way to New Hampshire everyone reading this must do their part. Wear you pj’s on backwards and inside out, cross your fingers and toes and pray as much as humanly possible to Ullr the Snow God. With all our combined efforts there is no way this storm will miss us. And after you’re done skiing and riding all day, we have plenty of events and activities to keep the good times rolling. There will be two Cranpalooza’s throughout February vacation week. We are rolling out the red carpet on Wednesday February 20th, as Cranapalooza will have a Hollywood Theme. Audley Williams and Marcus Gale will on hand with live music entertainment. Then on Saturday the 23rd Cranapalooza will be jammed packed with entertainment. Live music will be performed by The Tugg Brothers, and there will be a family magic show from Magic of the Steelgraves. There will also be a bonus magic show in the Artist Falls Lodge from 4:30-5:30pm. If that isn’t enough for you, there will be fireworks capping off the evening at 6:30pm. 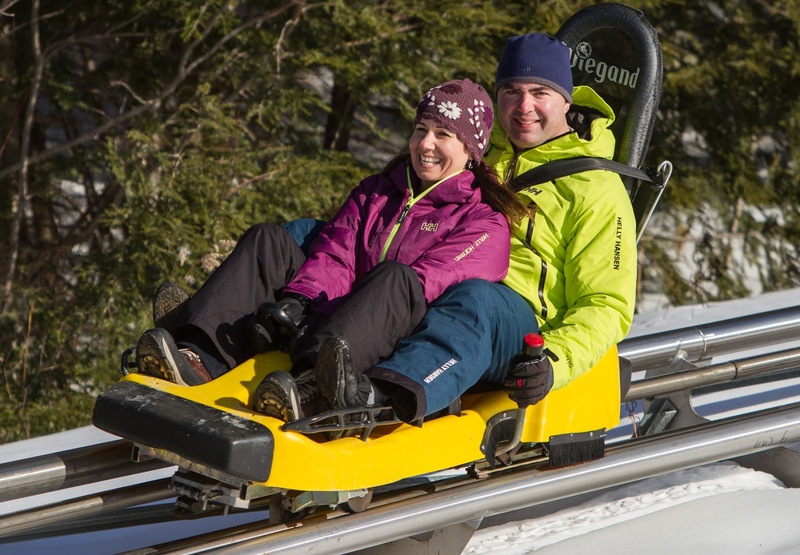 On top of the fun at Cranpalooza, Cranmore’s Tubing Park andMountain Adventure Park will be open until 9pm February 15th-23rd. This is a perfect way to end a ski day or to entertain a member of the family who does not ski or snowboard. There will be two other great events taking place on the 23rd. Ramp Sports will be on site providing free demos for anyone interesting in trying out any of their products. You will be able to demo their skis and snowboards between 8:30am-3pm. Ramp Sports along with Arbor snowboards will be sponsoring the Retro Fest Rail Jam on the same day. So grab your skis and boards, along with your best day glow gear and come out to this radical terrain park event! Registration will start in our summer retail area at 9am and the event will begin at noon in the Double Feature Park. Registration fee is $10 plus a lift ticket or seasons pass. There will be no shortage of fun throughout February vacation break. Our snow bases are the deepest they have been all season long and the short range weather forecast looks like we will be setting up for a banner February.